We had a brilliant time in Edinburgh and it hardly rained at all, although it did! 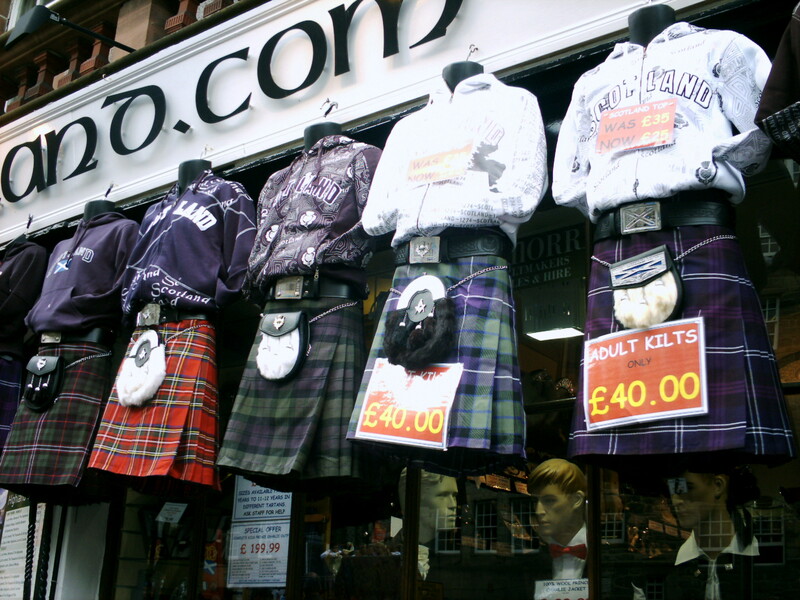 Here are a couple of tips in order to have a really good time in the Scottish capital. 1. Eat Scottish food: Scottish food is pretty rustic and includes such fare as haggis, which is mutton or lamb offal, minced and mixed with, oatmeal, suet, herbs, spices, various seasonings, potatoes known as tattties and Swedes (in Scotland) or turnips (England) known as neeps, stuffed into sheep’s stomach! It is an acquired taste and can be slightly gritty so try not to think about it! You can get it all over Edinburgh. We went to a restaurant called The Royal McGregor which is on the Royal Mile. It showcases local Scottish food with a modern twist and supports independent breweries. We had: Haggis, Neeps and Tatties. 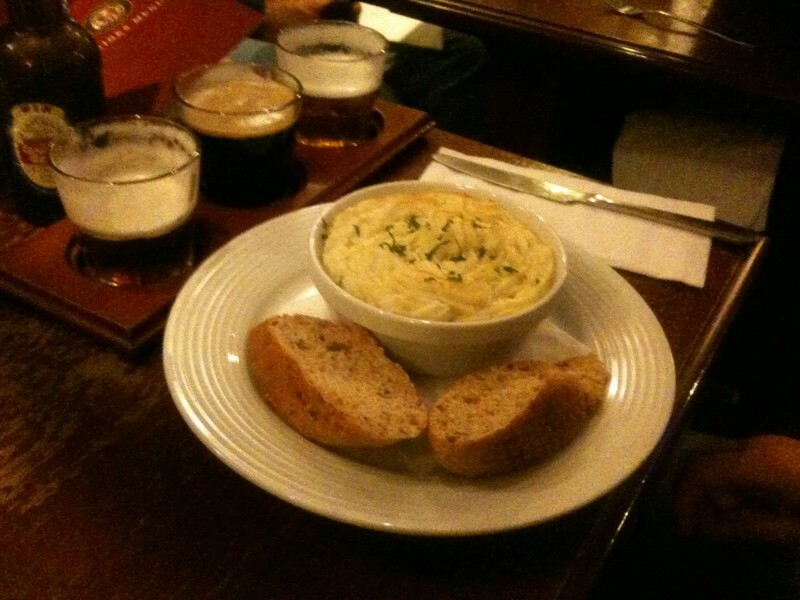 Cullen Skink which is a traditional Scottish soup made with smoked haddock, potatoes and cream and served with crusty bread and The Wee Taster which was a sample of three local beers comprising of Dragon Head (Orkney), Wayfarer (Orkney) and Lia Fail (Inveralmond). 2. 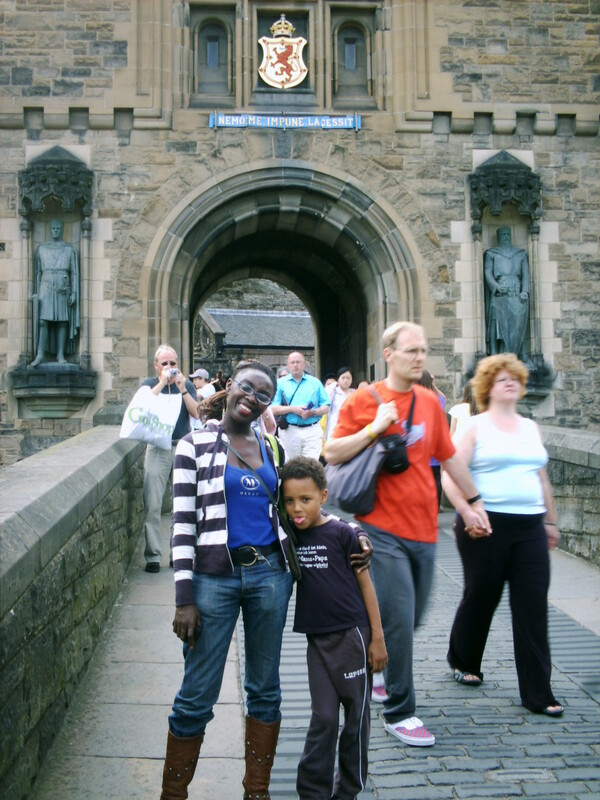 Go to Edinburgh Castle: Edinburgh Castle is the city’s main tourist attraction and source of historical life. It is a mighty fortress which defended the nation and soars over the city. It’s powerful stonewalls have supported battles and sieges and is home to the Scottish crown jewels, three military museums, the National War Memorial, the Prisons of War exhibition, three gift shops and is an absolute “must –see” and a world heritage site. It is also host to The Royal Edinburgh Military Tattoo ceremony which takes place in August. Guided tours are available and at least two hours are needed. 3. Go on a Walking tour: Walking around is a brilliant way to see where you are, establish your bearings and get to grips with your surroundings. In economic times, finding a way to cut costs is the rage, so a free walking tour is an excellent choice. 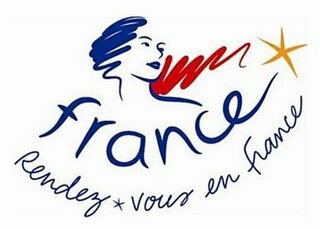 There are many companies to go with, such as SANDEMANs NEW Europe free walking tours and you can read more about it here in the bloody streets of Scotland! Our Free! Free!! Walking tour. 4. 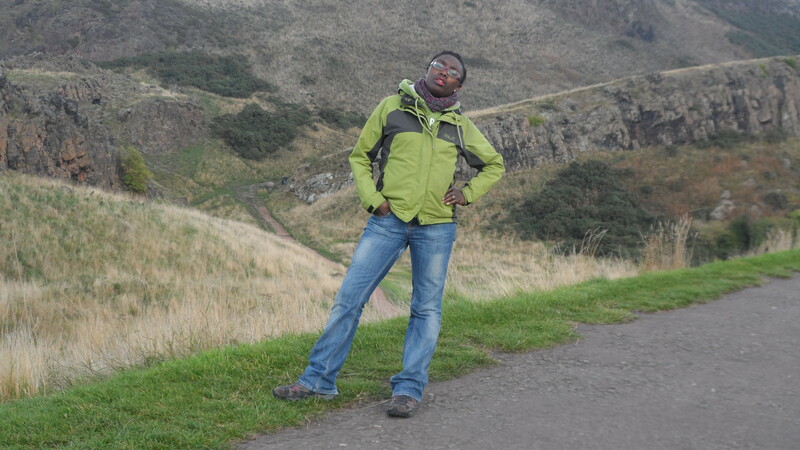 Climb Arthur’s seat: Arthur’s seat is the main peak of a group of hills known as Holyrood Park. 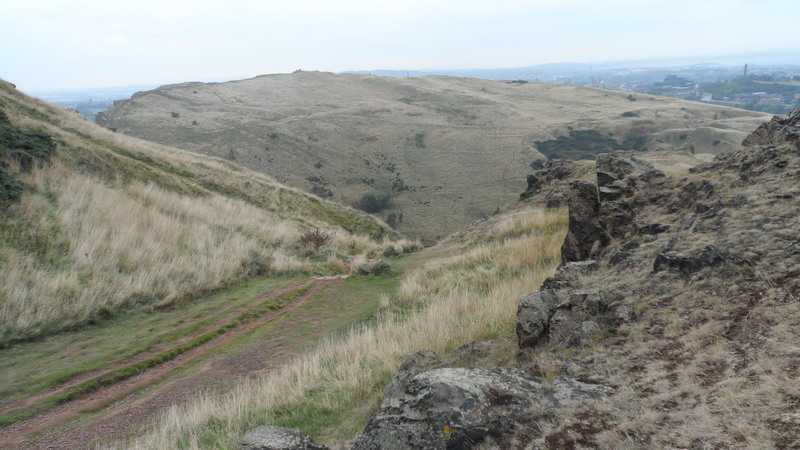 Robert Louis Stevenson, a famous Scottish poet once described the hill as “a hill for magnitude, a mountain in virtue of its bold design.” Holyrood Park is opposite Queen Elizabeth’s official Scottish residence and a stone throw from the Scottish parliament building. It’s also a huge Royal Park that covers lochs, hills, crags, terrains and parkland. “The Music Producer” and “The Tall Young Gentleman” climbed this hill and it was a good walk. Quite windy, open to the elements and natural. Note that the pinnacle terrain is quite demanding and uneven, but you are rewarded with fabulous views. There are no barriers, a few rabbits, shrubs and lots of thistles (Scotland’s native flower). Definitely, take a jacket or jumper, good sturdy shoes and a camera. 5. Make peace with ghosts: We weren’t able to go on a ghost walk on this trip but I have been on one, years ago. They are good. Very good. 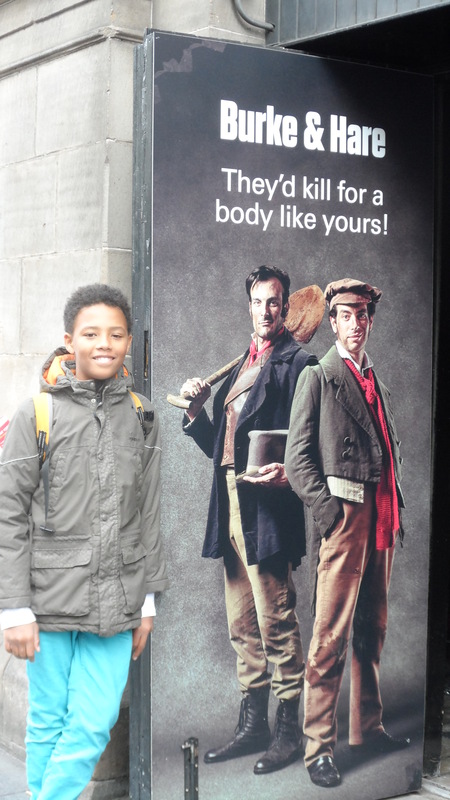 Edinburgh is just ripe for stories of murder and gore. It has always had public executions, religion was taken seriously, superstition was rife, body snatching was common and murder was always around the dark, narrow, cobbled corners. 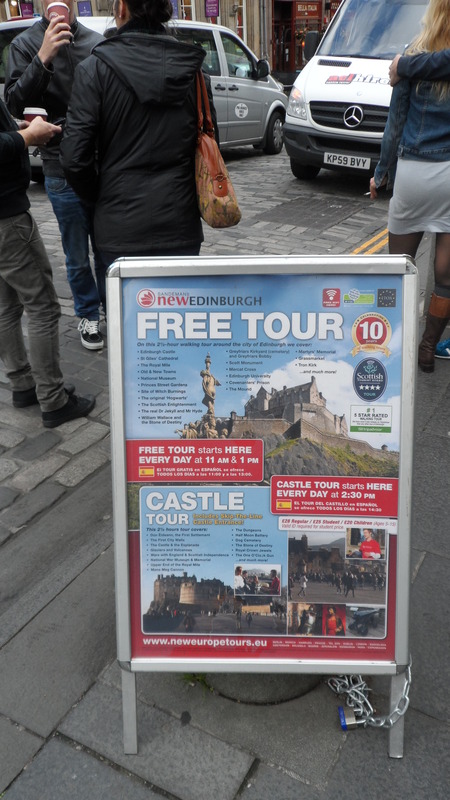 However, I made some enquiries and if you do want to go, check out the following organisations: Cadies & Witchery Tours – a witchery tour of fearless phantoms in a suspenseful and mirth-filled tour of Edinburgh’s Old Town. The Real Mary King’s Close – a costumed character tour guide in a warren of underground streets and spaces. The Ghostbus Tours Edinburgh – a theatrical sightseeing tour on a classic 1960’s Routemaster. 6. 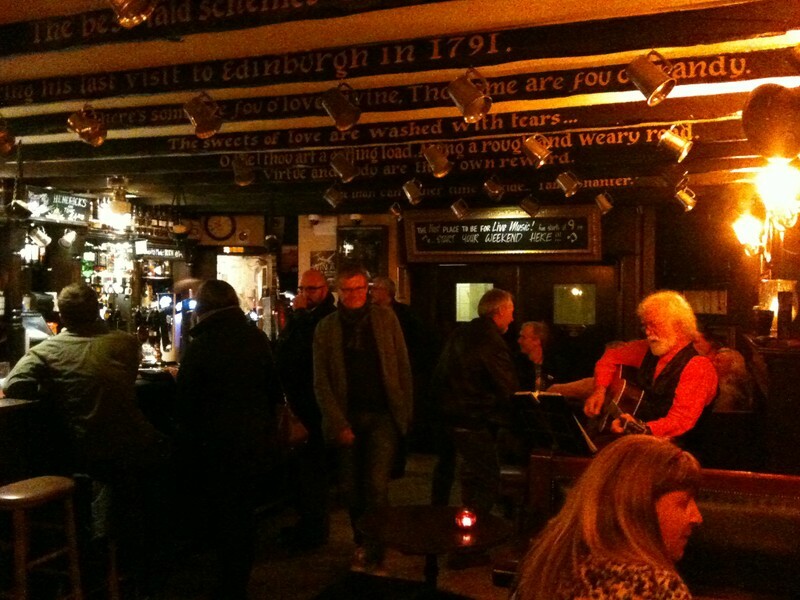 Go to the Pub: There are so many wonderful pubs in Edinburgh and you can’t fail to find something for you. On the Royal Mile, you can sample lots of booze from local breweries and local farmers both alcoholic and non-alcoholic. Have you ever heard of whisky such as: Queen Islay, Island Hopper and Bruichladdich Range? What about Scottish brew such as Innis and Gunn Oak Aged Beer, St Mungo Lager, Fraoch Heather Ale or even Red Kite also known as Black Isle Organic? How about traditional Scottish drinks such as Atholl Brose and Drambuie? Let us also not forget “soft” drinks such as Irn Bru and Red Kola? 7. Scare yourself silly at the Edinburgh Dungeon: Whenever, we’re in Edinburgh, it’s one of the places we go to and is good old fashioned horrible fun! The Edinburgh Dungeon is an off-shoot of the London Dungeon with other branches in Berlin, Hamburg, Amsterdam, Warwick Castle, York, and The Blackpool Tower. It’s the ultimate thrill-filled story of Edinburgh’s horrible past in which costumed actors try to chop off your head, sentence you to hell, take out your entrails, lose you in Mary’s King’s Close and generally, give you a scary good time. Give yourself at least an hour and a half and pre-book if you can, as queues tend to be long. 8. Do a bit of culture: Bring your camera ‘cos there’s just so much to see. We had a quick peek at the University of Edinburgh, the Palace of Holyrood House which is the Queen’s official Scottish residence, The Queens Gallery, the Scottish Parliament, and we just managed to squeeze in the “People’s Story Museum”. We also went to the New Town which is the Georgian part of Edinburgh and houses the National Gallery, the City Art Centre, the Royal Gardens and Park, the Scotsman Hotel, and Princes Street which is the High Street for those who want to go shopping. In fact, for a short trip of two nights and two days, we did pretty well! 9. Have an early dinner: I live in Berlin and I’ve lived on the Continent for a very long time and although I am British, I tend to forget that as far as dining and going out is concerned, Britain is still stuck in 1912! In short, if you want to go out for dinner, make it early. Early being, 6-8 p.m. as in many establishments, the kitchen closes at 9p.m. Many dining establishments also do not welcome children after 7p.m. In one particular restaurant, they said that 5p.m. was the very latest time and we would be put at the back of the restaurant. I – don’t – think – so! I pay good money and I therefore want to have a good seat, feel relaxed and made to feel as comfortable as possible, and not like a thief in the night just because we have a child! Berlin, where I live, is fantastic in that regard as restaurants are open up to 11p.m. and sometimes even 12 midnight. Restaurants in Berlin would wait for the very last guest and that could spill into the wee hours of the night. Ditto: going out for a drink. 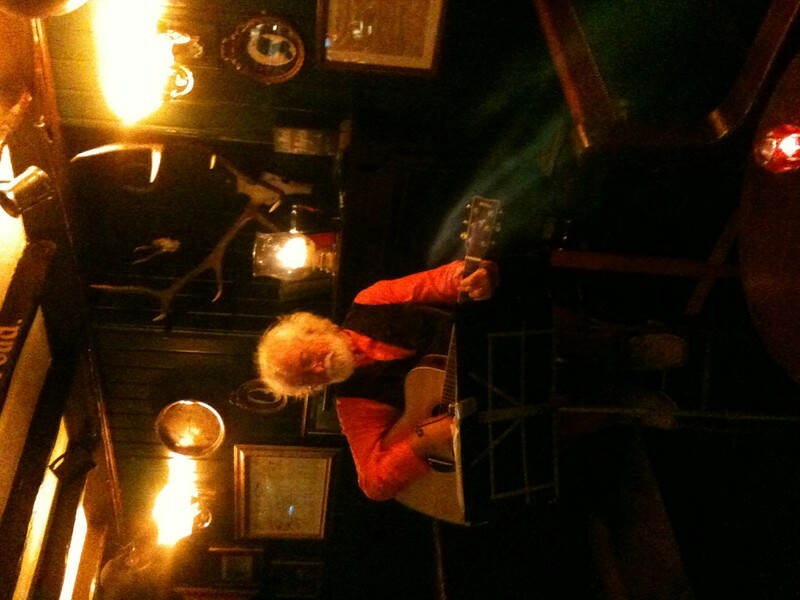 In Edinburgh, the pubs at the Royal Mile were lovely, friendly and open ‘till 1.a.m. In the New Town, we didn’t dare go in. There were huge, grim bouncers outside and the clientele were rough-looking and rowdy. In Berlin, nobody leaves the house until 10p.m. to go out, and if you’re really pushed, 9p.m. when Happy Hour ends! 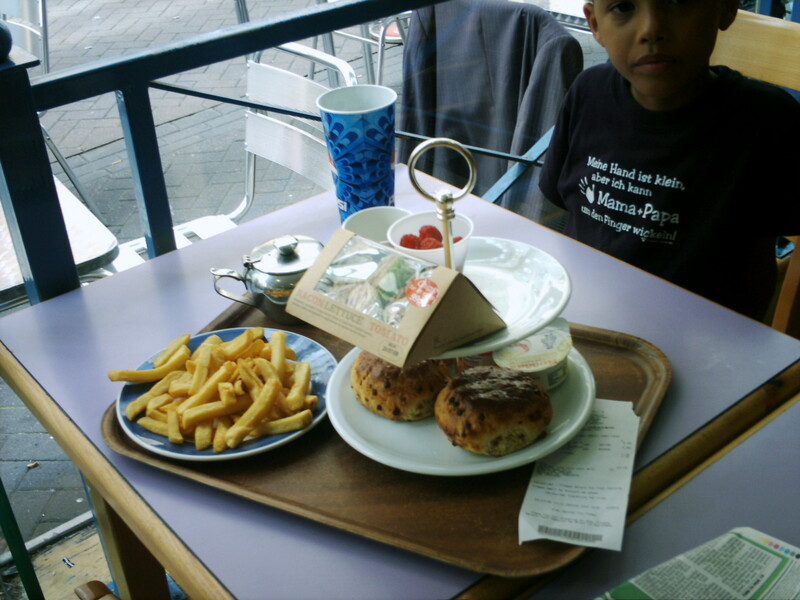 Be aware that in Scotland, in the UK even, early dining is necessary and enquiries made if you have children in tow. 10. Talk to the locals: Regardless, of Nr.9; Scottish people are lovely. 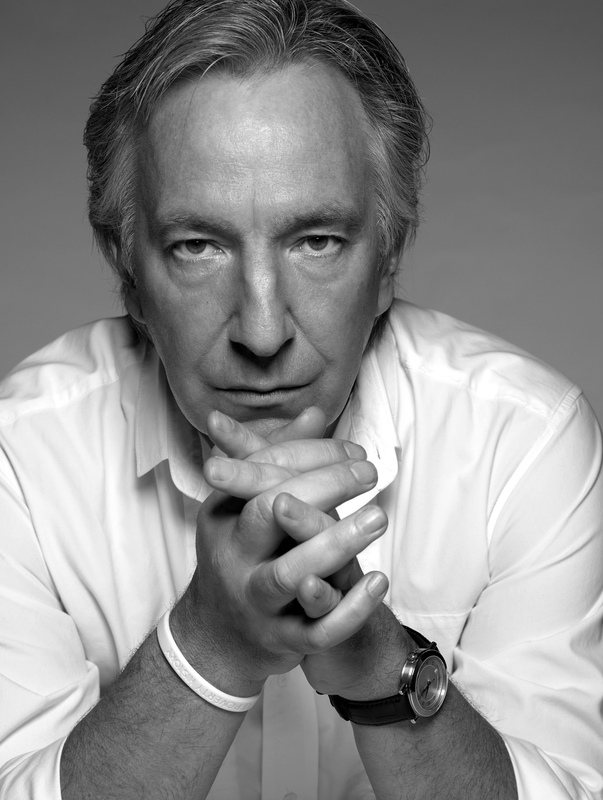 So friendly, so open-minded and very interested in others. So many people would ask if they could help whenever, we even so much as stood still. People were delighted to have “The Music Producer” who is German, as a tourist in the city. One delightful man even apologised for the less-than fantastic weather and hoped that we were nevertheless, enjoying Edinburgh. “The Music Producer” was amazed; that would not have happened in Berlin! The George’s Heriot’s School, which is a leading independent private £10,299. per year co-educational school founded in 1628, was about 10 minutes away from our hotel and every time we passed it, everybody thought we were parents applying to register “The Tall Young Gentleman” into the school. So cute. They were very helpful too! If you want to go to Scotland, now is a good time as 2013 is the Year of “Natural Scotland” focusing on Scotland’s wildlife and wild natural landscape. 2014 is “Homecoming Scotland” focusing and welcoming the world to “come home” and celebrate the very best of its culture, ancestral heritage, natural resources and delicious food and drink. It should be a good year. Information about Edinburgh Castle can be found on http://www.edinburghcastle.gov.uk/. Adults £16.00. Children £9.60. Information about the Cadies & Witchery Tours can be found on http://www.witcherytours.com/. Adults £8.50. Children £6.00. Suitable for children. 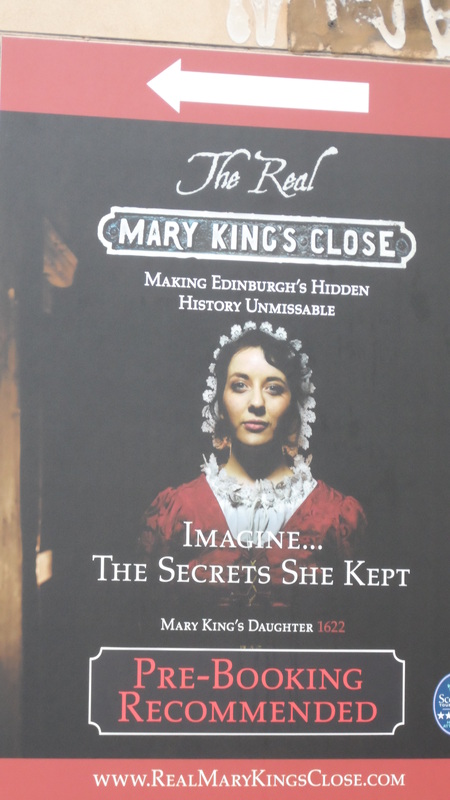 Information about The Real Mary King’s Close can be found on http://www.realmarykingsclose.com/. Adults £12.95. Children £7.45. Not suitable for children under 5. The Ghostbus Tours Edinburgh can be found on http://www.theghostbustours.com/edn/edinburgh.html. Adults £16.00. Children £12.00 All children under 15 must be accompanied by an adult. Not suitable for young children. The Edinburgh Dungeon can be found on http://www.thedungeons.com/edinburgh/en/. Adults £16.50 Children £12.60. Keep a look out for discounts and vouchers as pretty much every map or pamphlet has a “2 for 1 entry” or “£6 off” voucher enclosed! This article is not sponsored and all opinions are my absolute own. Edinburgh is a fabulous city of mystery and intrigue. 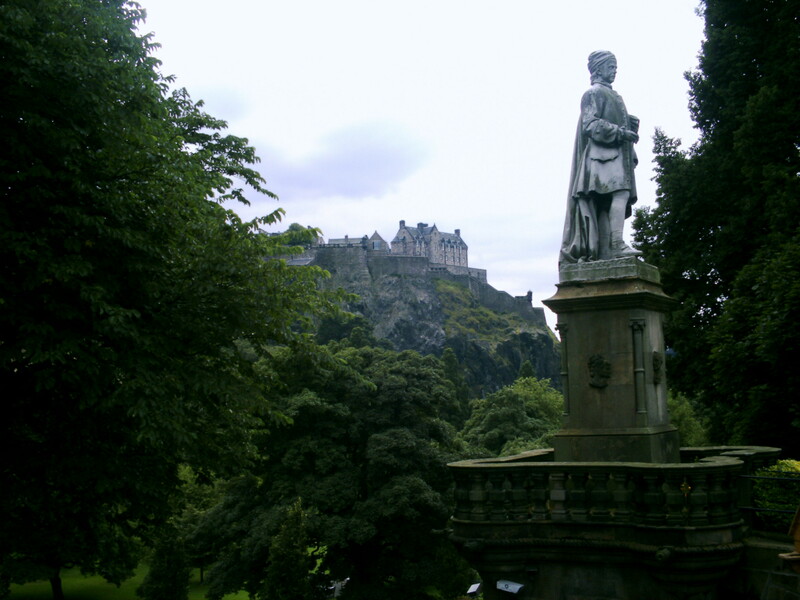 What do you think of these Edinburgh tips? Do you agree? Have your say! If you like this article, share it! Previous PostTHE FIRST TIME IS THE BEST TIME: THE LIEBSTER AWARD!Next PostA wee drab of whisky is just the thing to make you itch! Absolutely no rain…just a teeny, weeny bit LOL! I love how your interpretation of no rain is a ” teeny, weeny bit”. Staying positive! I love it! Thank you so much! As a Northerner, I’m used to the wet cold! Same with me as a East Coaster. Living by the sea also means I’ll accept the wet weather. That’s right. I consider myself to be really lucky to have only lived in places that have water nearby. Berlin has loads! Its so calming and saves on therapy LOL! Yeah, Globe Runner linked me. Thank you! Wow! Thank you so much. That’s very kind and generous. 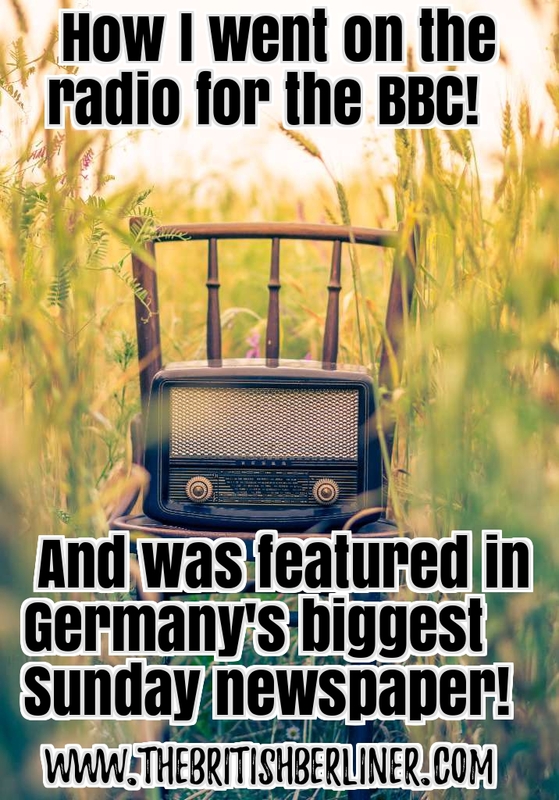 ‘Hope you enjoyed reading! There will always be a next time Globe Runner. Always a next time…. I must try Cullen Skink! I have never heard of it before but it sounds right up my alley. Can you get it at a pub? That’s prolly what I’d do all day in Edinburgh – plant myself in a pub, and eat and drink for hours. Thank you for coming by Anna! Cullen Skink was lovely and just so Scottish! Yep! Good gastro pubs definately, and if you want good value food and drink surrounded by fascinating people, you’ve just got to go to a pub! 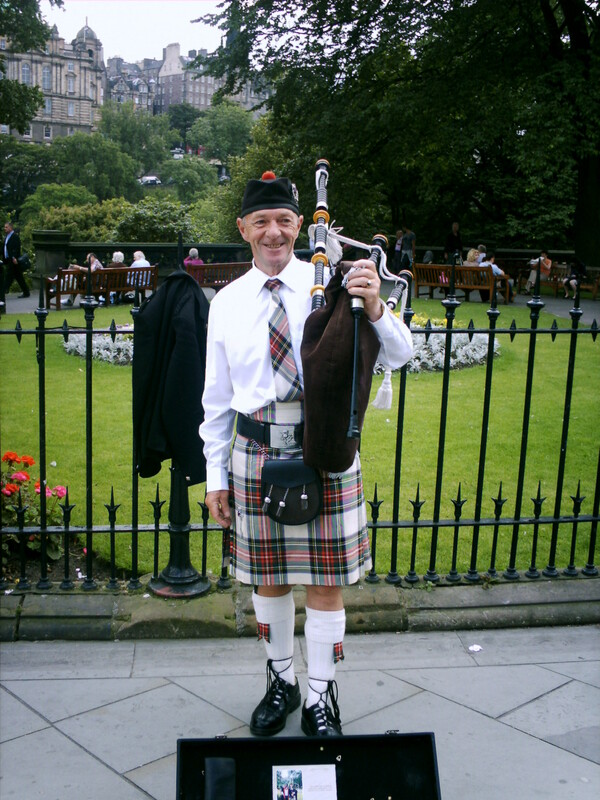 As an Edinburgh man although I haven’t lived there since 1968 and also educated at George Heriot’s I enjoyed your article, especially as I knew the piper at school!! However your haggis was a disgrace, and unfortunately this is what tourists are served up with. If you are living in a rental go and buy a haggis from a butcher [NOT McSweens] but a proper haggis, ask him how to cook it[we do it in the oven] Buy a turnip, peel it and cut it up into small bits and boil until soft, then add some milk and butter and mash it like you do potatoes. Do the same with potatoes, both with a good grind of black pepper and then you spoon the haggis out of its wrapping on to the plate with the ‘neeps’ and tatties. Now you should have three separate steaming mounds, enough to do Masterchef proud!! Take a bit of all three on your fork and just enjoy. IT WILL NOT LOOK LIKE THE PHOTO!! PS I make a real pudding and mix all three together – delicious!! Hi Ian, thanks for coming by. Yes, the staff at George Heriot’s school were terribly nice. Now re-Haggis. Honestly, I hear you! I’m a fellow Brit. and I was “lucky” enough to have local haggis from a chip-shop years ago. It was awful! I thought, this can’t be it. Can it? Then I went up-market to the Balmoral and it was even worse. Soooooo gritty! This time, it was palatable. I even had seconds! Your recipe sounds much nicer though, but what can I say. I’m from England LOL! Your post, combined with the lovely rainy weather we’re having here in Los Angeles, has me itching for a trip to Edinburgh! (Although I’m sure rain in Scotland isn’t oft classified as ‘lovely.’) The food sounds fascinating… I’d have to work through that gritty texture, though.. Hmm. “Lovely, rainy weather” I can live with Miranda, it’s the cold, damp rain that’s a bit of a bother, coupled with harsh wind! But you know what, in Berlin, I don’t feel the rain ‘cos it’s nice and helps my plum tree to grow! Scottish food is interesting though and the way the seasoning and vegetables are mixed together even makes the food sort of rural and “exotic” in my mind! 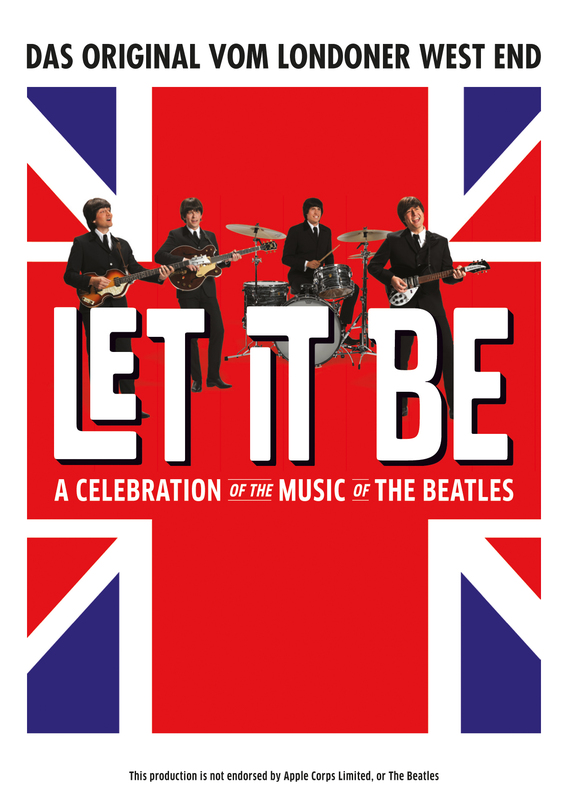 As for Los Angeles, my family and I went over to your side of the pond a few years ago. In the middle of January. We were amazed. So warm. 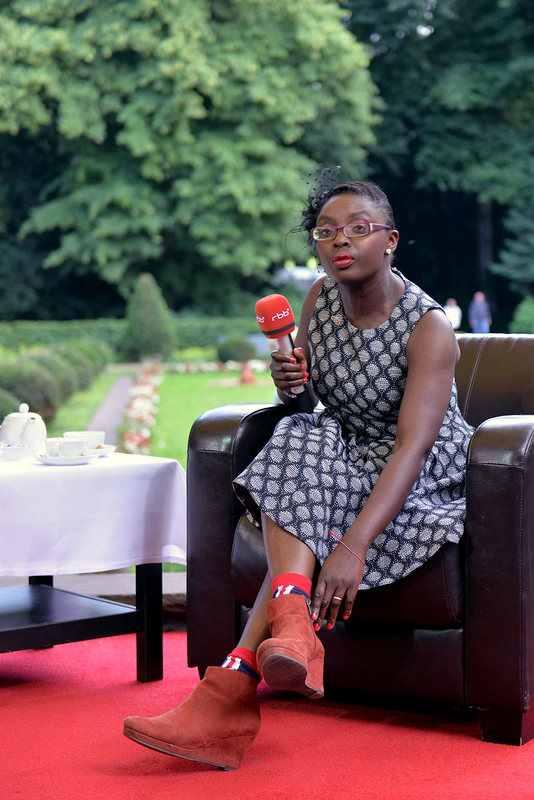 I even had my sunglasses on…! I’m going to have to search out a good Scottish restaurant here in California until I can make my way to Edinburgh! 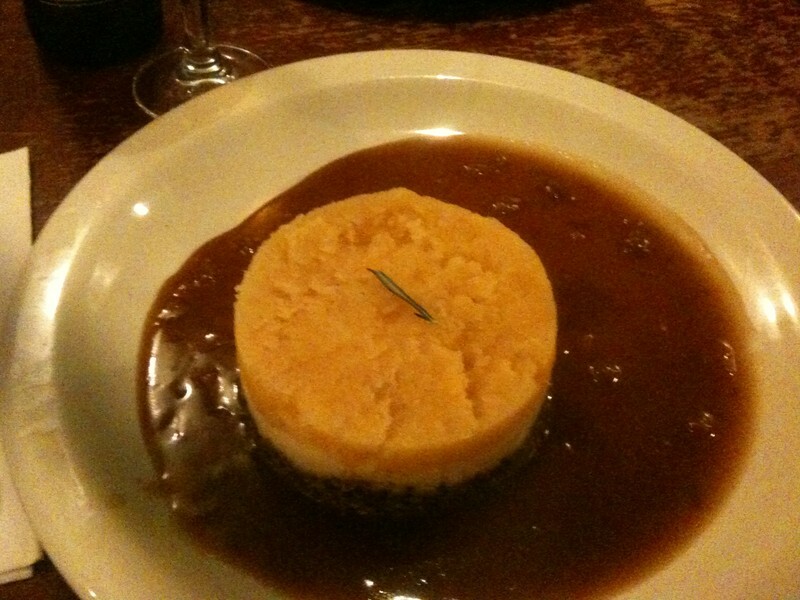 I’m vegetarian, so it’s no more than a taste of haggis for me, but I love turnips (neeps!) & scones, and I’ve heard Scotland lays claim to delicious cheeses, too! Oh yes, scones. With jam (jello) and clotted cream. Yum! Luckily, we have a few places in Berlin but only a few mind, that are able to do British food well. We had High Tea at the Ritz Carlton and it was very good. So was the champagne! We also had scones and a pot of tea at the only (in my mind), authentic British restaurant in Berlin called “East London”. That was good too. Scottish food is difficult to get as it tends to be lumped altogether as “English” and nobody likes that LOL! Great post on things to do there. Good tips for any traveler who reads this. So nice that the rain held out for you. 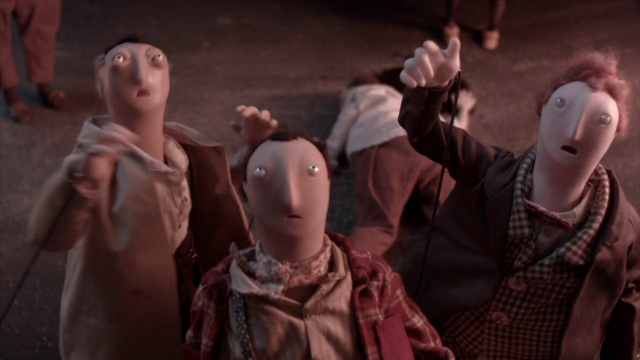 Thank you Filbio. We were very lucky with the weather. In fact, whenever we went to Scotland, Ireland or Wales: the weather was always surprisingly pretty great! This is great and helpful! I’m going to Scotland in September and gathering some info on what to do and see. 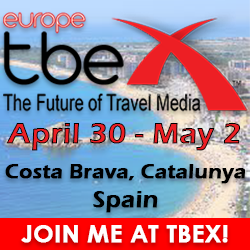 Great articles and tips; I’m headed to Scotland this August and can’t wait to check out Edinburgh. I didn’t realise that there was a dungeon there – I’m a big fan of the London Dungeons so I’ll have to see the Edinburgh version! Thanks so much for the tips (especially the helpful notes on eating early). We are planning a trip for this summer and I can’t wait to explore the city.